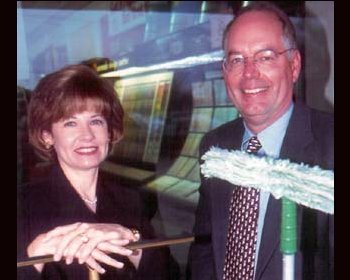 Fish Window Cleaning has grown to be the world's largest window cleaning company with more than 250 franchise territories in 43 states, yet we still maintain the traditional values we were founded on. We will always treat every customer as though they are our only customer. 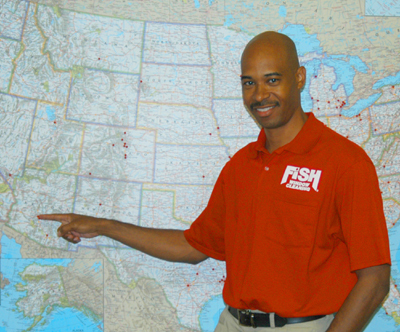 Visit our Locations Map to find your local FISH office! We specialize in cleaning: ground level storefronts; one, two, and three story office buildings; restaurants; banks; churches; schools; and homes. We make homes and businesses sparkle and we have more than 200,000 satisfied commercial and residential customers nationwide. "In addition to cost, Fish Window Cleaning has always provided great customer service, reliability, courtesy, and professionalism."